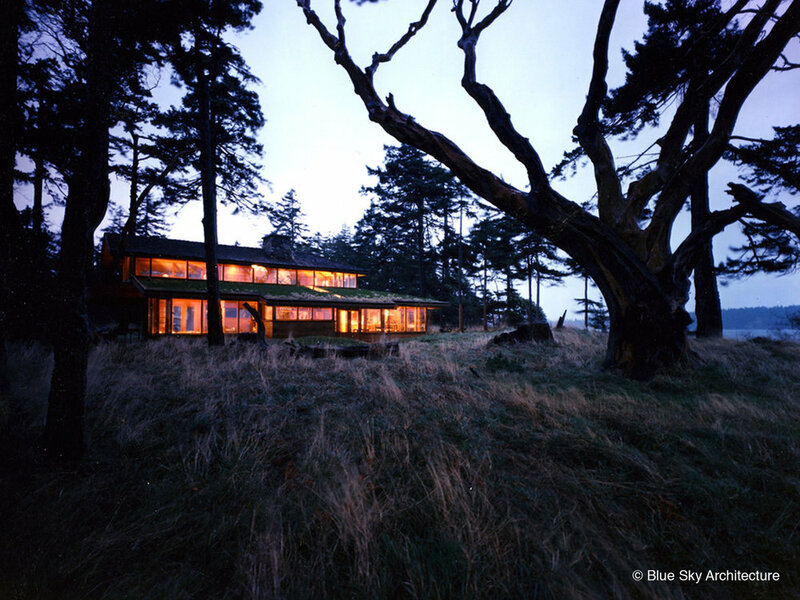 This early house was one of the first design/build projects designed by Blue Sky Architecture’s predecessor firm Blue Sky Design, and the first design collaboration between Bo Helliwell and Michael McNamara. 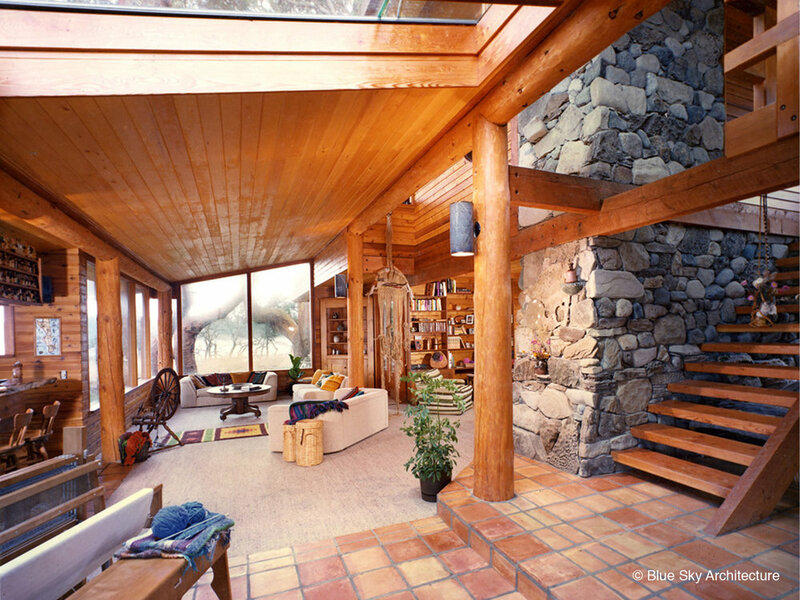 The organic residential design combines influences from Arthur Erickson, where Bo and Michael had worked, the Back-to-the-Land Hand-Built Hippie designs of Hornby Island and the organic version of the Arts and Crafts from California’s Greene and Greene. The house is organized around two intersecting axes. The first being an existing earth mound having hints of ancient native origins. The other axis, perpendicular to the first is the south-east view line down Georgia Strait coincident with the alignments of the sunrise and sunset on the solstice. The house intentionally withdraws behind an ancient Indian mound, leaving a broad lawn and highly individualistic arbutus and fir trees as an extension of the seascape, helping shelter the house from the southeasterly extreme storms which buffet Dunlop Point. This siting also has the effect of reducing the perceived volume of the large house, guesthouse and swimming pool pavilions. Roof angles were derived from mimicking the surrounding windblown shrubbery.